The Hidden Glasgow Forums • View topic - Trains in the Toon! Thought I would share this photograph taken by David Kirkwood today with the group, I think it is stunning. But as a train buff I would!! Don't think i've ever seen a train of any type use that bridge. Re: Trains in the Toon! Alycidon, is there an available EWS timetable? Pripyat wrote: Alycidon, is there an available EWS timetable? These particular workings today were very much a one off due to engineering works elsewhere, there is a timetable but it is not available for general use and it can change at short notice as coal supply and demand alters. Alycidon wrote: These particular workings today were very much a one off due to engineering works elsewhere, there is a timetable but it is not available for general use and it can change at short notice as coal supply and demand alters. issues regarding the nature of the cargo. I can see this bridge from my flat window. There are two empty passenger trains go over every day. One at about 10.10am and another about 10.30 pm. Saw an EWS coal train going across this morning as I went out to get my newspaper. Nearly got hit by a bus because I stopped in the middle of the road to gawp at it. Monument wrote: I can see this bridge from my flat window. There are two empty passenger trains go over every day. One at about 10.10am and another about 10.30 pm. Saw an EWS coal train going across this morning as I went out to get my newspaper. Nearly got hit by a bus because I stopped in the middle of the road to gawp at it. Was there not a mineral train this afternoon at about 2ish? I dunno. I was in the People's Palace at 2. Thought you were in the Gorbals. Thon phoatie wid make a perfect Jigsaw Puzzle, sigh. 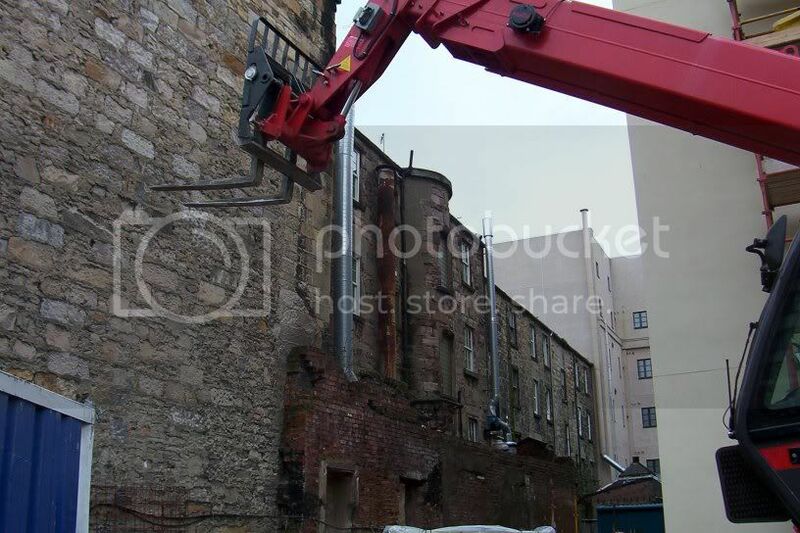 Did you notice they have knocked down the two buildings in St Andrews Street, at the back of Reids furniture shop? They have installed a 24 guard as well, in case anyone steals the rubble. aye seen it before and after. In view of Fossy's above post, I should be heading to a darkened room. Last edited by HollowHorn on Sun Feb 19, 2006 10:51 pm, edited 1 time in total. Are you still drinking that M and S plonk from last night? I can't find St. Andrews St. on my maps & looking up Reid's of Glasgow does not help, if you are seeing Fossy looking across the river into Clyde St. from Calton Pl. 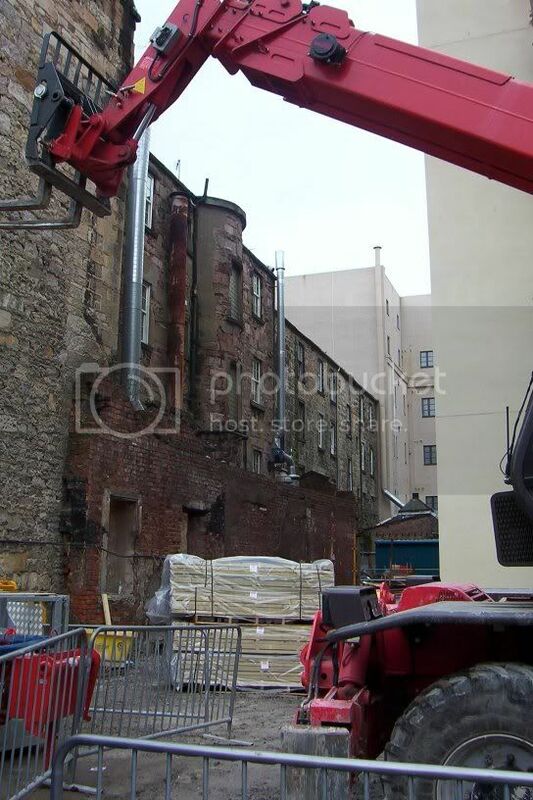 Do you mean this demolition site beside "Howard Bedding"?